Kamari Blu offers air-conditioned rooms with balcony. 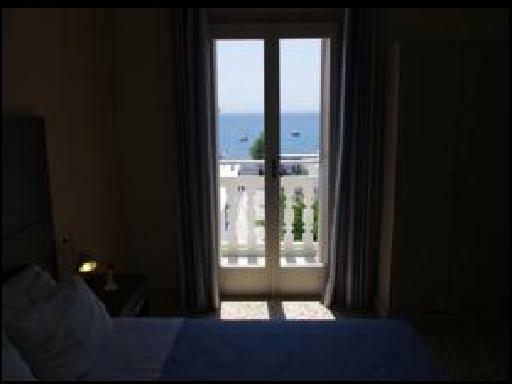 It is situated in the centre of Kamari in Santorini, only 400 metres from the beach. Rooms at the Kamari Blu have modern furnishings and each comes with a wall-mounted satellite TV, safe and fridge. A bathroom and a private balcony are included. A Continental breakfast is served each day at the hotel’s large and sunny breakfast room. The centre of Kamari with its various taverns and bars is just a short stroll away. Kamari Blu is 1.4km from the Wine Museum and 1.9 km from Perissa Beach. 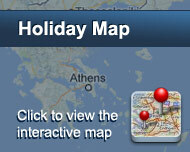 The beaches of Perivolos and Monolithos are less than 5 km away. Είστε ιδιοκτήτης ή διευθυντής στο KAMARI BLU; Εγγραφείτε τώρα για δωρεάν εργαλεία, που μπορείτε να χρησιμοποιήσετε για να βελτιώσετε την καταχώρησή σας και να συνδέσετε την ιστοσελίδα σας και το σύστημα κρατήσεών σας.